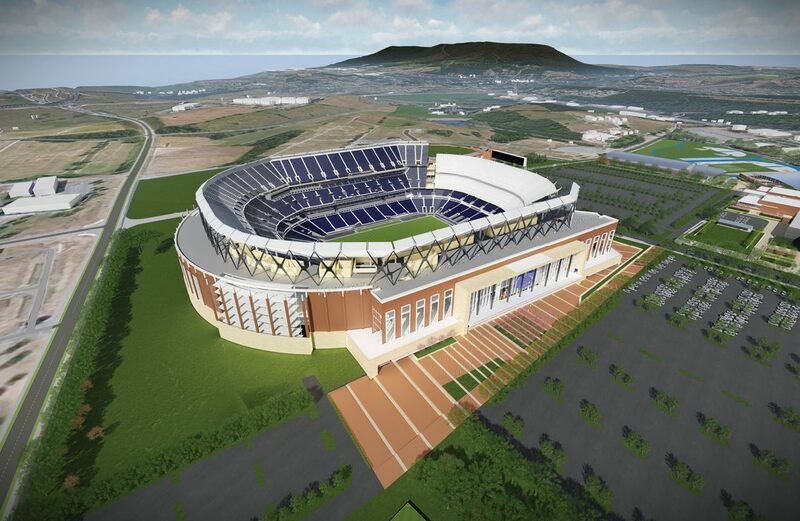 Though called only a renovation, this concept foresees almost complete replacement of the current Beaver Stadium with brand new structures. The only part to be retained is the south upper deck built in 2001, all the rest would be created from scratch. 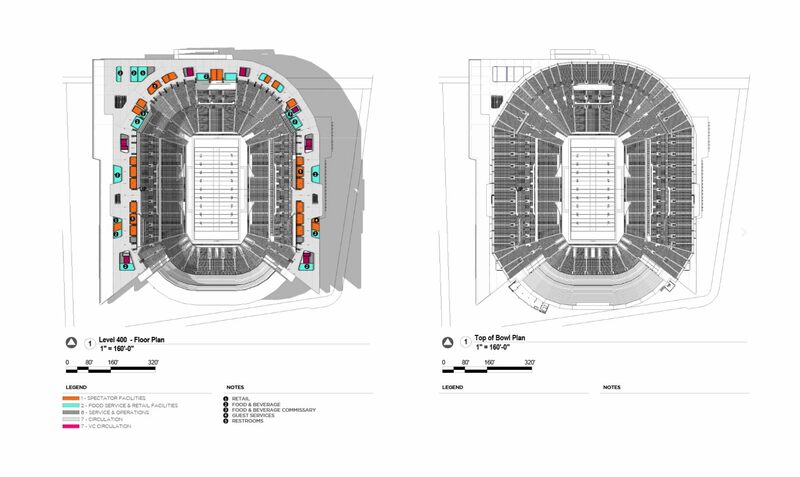 Altogether Populous designed 7 levels of floor space around what would now be a three-tier seating bowl. 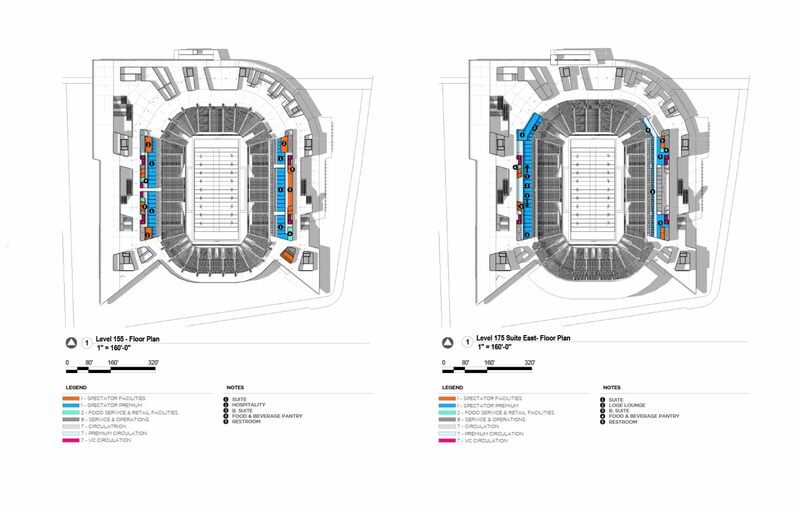 Though much greater than the existing stands, new ones would accommodate slightly fewer people, 103,000 compared to almost 107,000 at present. 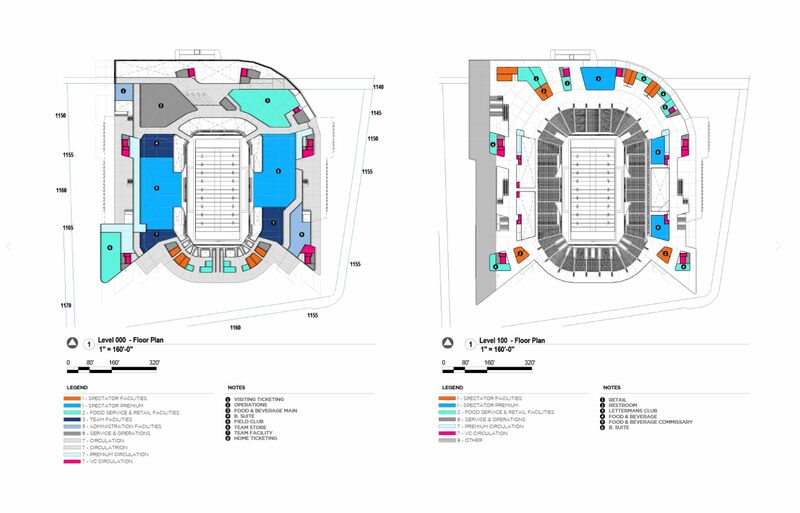 The increase in footprint is caused by additional space for fans and wider use of corporate seating: 84 boxes, 127 suites, 3,800 business seats and 6 varying clubs are all planned. For improved crowd circulation 18 elevators and 20 escalators are planned. 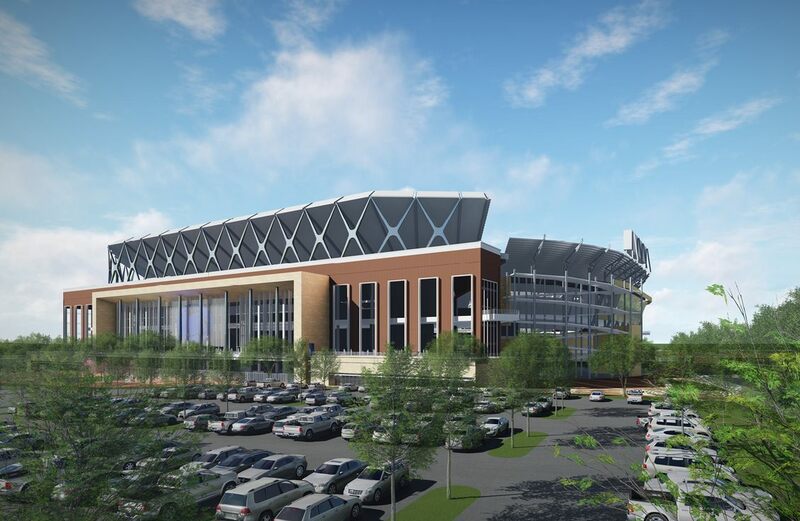 But changes would begin far outside the stadium. 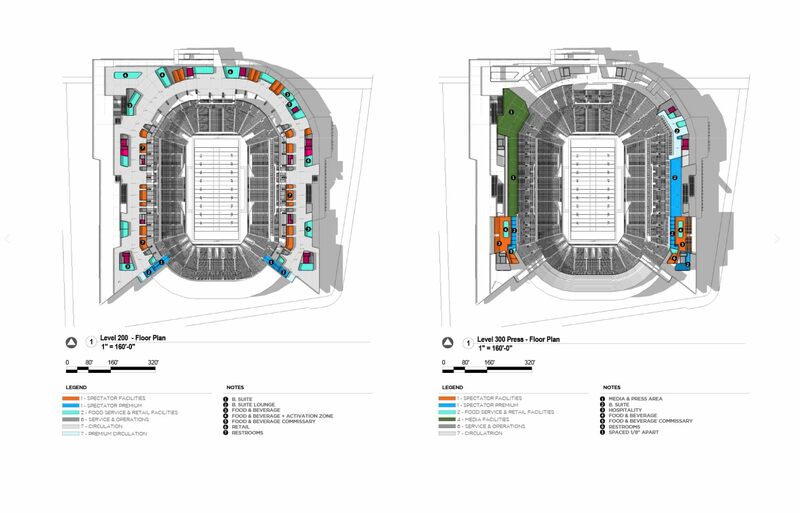 Current asphalt parking spaces would be replaced by new ones, significantly green to provide better tailgating experience. 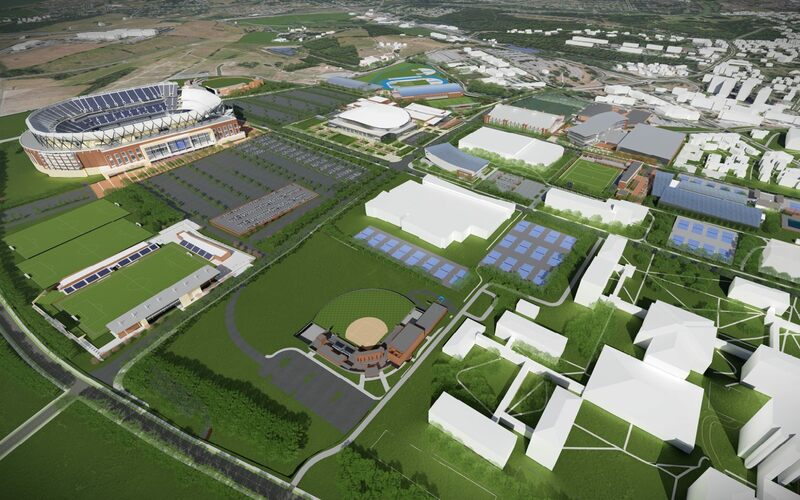 The vision is part of Pennsylvania State’s 20-year master plan for athletics development. 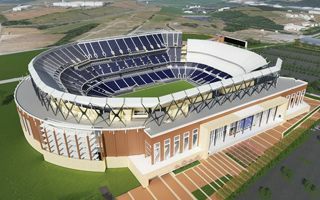 The project will be launched in 2018, but Beaver Stadium is most likely to get under construction only after several smaller facilities are created. 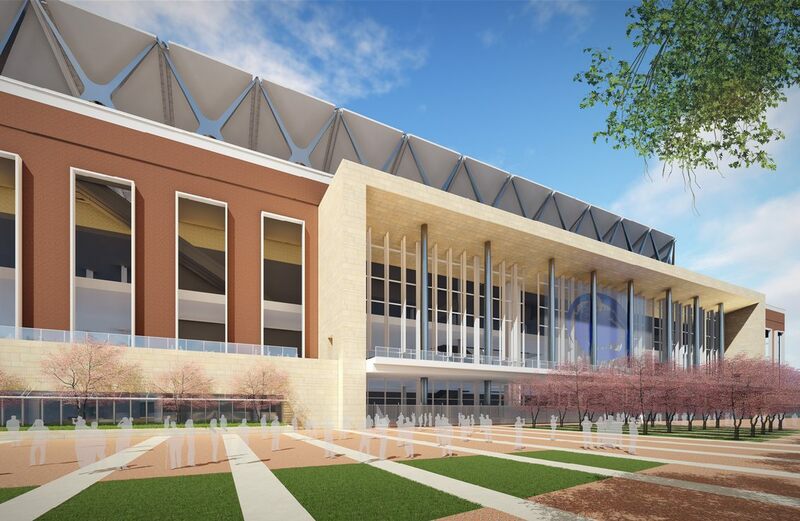 Complete redevelopment should last 3-4 years, including constant use during the NCAA season.